So why aren't we using it to power the entire planet? The main issue is storage. The sun doesn't shine at night, so the energy has to be stored until people need to use it. Our current storage options can't keep up. Utility-scale solar arrays require big storage. 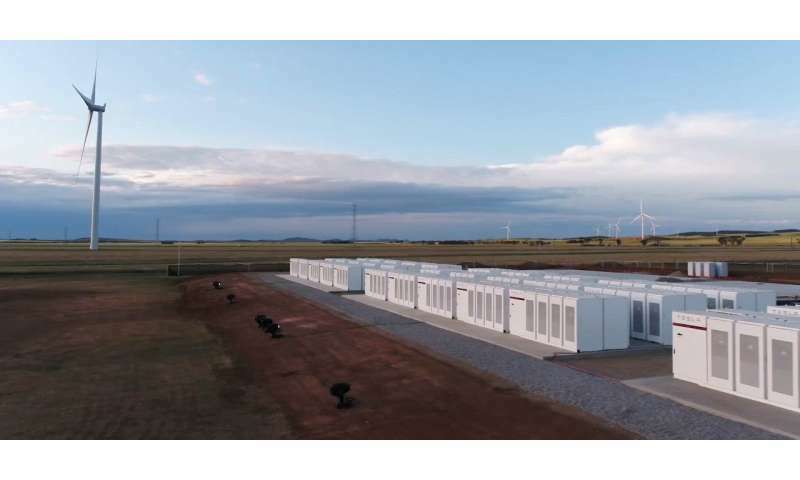 In Australia, Tesla recently installed a massive lithium ion battery array to store renewable energy, but lithium is not an unlimited resource, and batteries are not ideal for all situations—many Albertans know the lithium ion batteries in their phones don't like the cold. If we plan to move the entire world to sources like solar and other renewables, we need multiple ways to store the power. Among the scientists receiving funding from the initiative is chemist Steve Bergens. He's working on a utility-scale alternative that would take advantage of existing infrastructure and save chemical batteries for smaller-scale uses. "Carbon dioxide and water are everywhere," he explained. "We can combine them with sunlight and store solar energy as a fuel." "Fuels occur naturally, so some people might not think of them as a storage technology," Bergens explained. "But like batteries, fuels let us carry stored energy wherever we need and access it whenever we want." Today's most common fuels are hydrocarbons like natural gas. When those hydrocarbons are burned, the carbon is released into the atmosphere as the greenhouse gas CO2. To avoid CO2, we could adapt our entire energy system to burn pure hydrogen, but Bergens thinks that proposition isn't realistic in the short term. "We've spent decades and a lot of money building a system that works with hydrocarbons, so it's not reasonable to expect everything to change at once," he said. "But what if instead of releasing carbon dioxide into the atmosphere, we capture and combine it with water and solar energy to make reusable hydrocarbon fuels?" Bergens sketches out the chemical process on his office chalkboard: "When burned, natural gas and oxygen from air forms water, carbon dioxide and energy." Mona Amiri is a post-doctoral fellow working with the team in Bergens' lab to develop catalysts that can make the chalkboard reaction happen in real life. Building at the atomic level and in a modular fashion, she and students Chao Wang and Octavio Perez are creating single molecules that each perform an individual function in the overall process. These molecules can be optimized and studied separately, then be easily assembled like building blocks—or even self-assemble—to function as a single unit. This approach allows the team to quickly identify weak spots, switch individual components and eventually reduce engineering costs by carrying out the entire process in one unit. But it only makes sense if the catalysts and components are affordable. "Most of the catalysts we know of that can achieve this are based on costly metals like platinum and iridium," Amiri pointed out. "We currently use them to validate the principles, but we need to find more abundant alternatives for widespread adoption." "It will be necessary to blend efficiency, lifespan, affordability and availability," she said. When she and Bergens' team find the right balance, the resulting technology could be a crucial stepping stone. "This isn't going to happen tomorrow," Bergens said. "But in the medium term, it could buy us time to roll out new fuels that use something other than carbon." "That's farther in the future," he said with a smile. "But it works on the chalkboard."